Dr. Damaj specializes in providing Internal Medicine services to the community and is a Board Certified Practitioner. Dr. Damaj attended American University of Beirut (AUB), where he completed his Bachelor’s Degree and continued with medical residency training. He then served as “Chief of Internal Medicine” training in Baltimore, Maryland. Dr. Damaj has been practicing Internal Medicine, since 2002. Dr. Damaj is currently the Medicine Department Chairman at Centennial Hills Hospital and Medical Center. Dr. Damaj is also a medical staff at Summerlin Hospital Medical Center and Mountain View Hospital Medical Center. If you are a patient residing within the Northwest, please feel free to contact Dr. Damaj. Horizon View Medical Center is accepting all new patients. Please refer to our “Insurance” section for list of insurances we do accept. Dr. Damaj is happily married and has three beautiful children (two boys and one girl). When Dr. Damaj is not working, he enjoys spending quality time with his family and outdoor hiking. 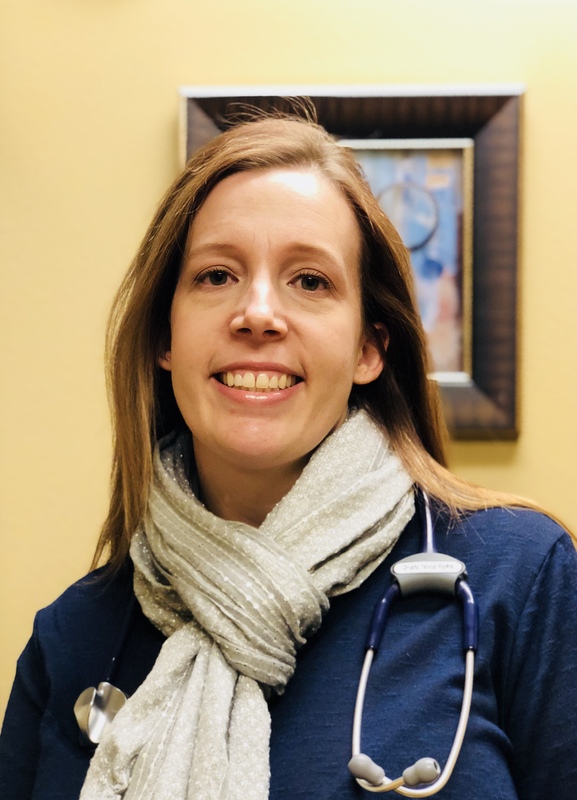 Kelly Fink, FNP-C, is a Family Nurse Practitioner, board-certified by American Association of Nurse Practitioners and licensed by the State of Nevada to provide family-centered health care to patients of all ages. Kelly graduated with a Master’s Degree in Nursing Science from Maryville University in St. Louis, Missouri. Originally from Long Beach, California, Kelly is proud to call Las Vegas her home since 1994. As a nurse practitioner, Kelly takes a holistic approach to patient care to help elevate quality-of-life through education and by empowering patients’ self-accountability for personal well-being. As a Registered Nurse, Kelly specialized in woman’s health and emergency room nursing. Prior to entering the health care field in 2007, Kelly served as a cryptologic linguist with the US Air Force, where she had an opportunity to travel the world and meet her husband. Kelly is happily married with two children (one boy, one girl). When not at work, Kelly enjoys cheering for the Vegas Golden Knights, spending time with family, animal rescue, and traveling. ANANSA K. GO, A.P.R.N. – Newest Addition! Dr Bipin Saud is Board Certified in Gastroenterology by the American Board of Internal Medicine. He specializes in Digestive Disorders including Colon Cancer Screening, Liver and Pancreatic diseases and advanced Gastrointestinal Endoscopy. 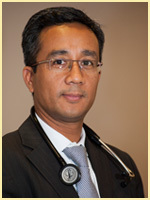 He is one of the very few Gastroenterologists in Las Vegas who perform Endoscopic Ultrasound (EUS). EUS is a medical procedure in which Endoscopy is combined with Ultrasound to provide detailed images and obtain tissue samples of the internal organs in the chest and abdomen. Dr Saud obtained his medical degree from the Institute of Medicine in Nepal and completed his Residency training and Fellowship in Gastroenterology at the University Hospital in Syracuse, New York. He was offered a faculty position there as Assistant Professor in the Department of Internal Medicine and served for six years. He was involved in teaching medical students, residents and Gastroenterology fellows before he moved to sunny Las Vegas with his wife and two sons in 2009. He has joined Horizon View Medical Center and has office locations at the Medical Office Building next to Centennials Hills Hospital and in Henderson. He is accepting patients at both locations. He is committed to excellent and compassionate care to all his patients utilizing his comprehensive knowledge in Gastrointestinal and Liver disorders. Dr. Saad graduated from the American University of Beirut Medical School in 1995. She finished her residency in Pediatrics at SUNY Health Center, Syracuse New York, in 1999. After that, she trained in pediatric endocrinology at Children’s Hospital of Pittsburgh one of the top 10 Children’s Tertiary in the United States. During fellowship, she participated in the care of children and adolescent patients with diabetes type 1 and 2 in addition to a wide array of other endocrine diseases. She also conducted extensive research with her mentor Dr Silva Arslanian, a well renowned pediatric endocrinologist, with focus on type 2 diabetes mellitus and obesity. During her research, she routinely conducted hyperglycemic insulin clamps. She has multiple publications in this area. 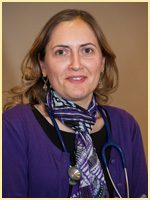 She joined the pediatric endocrine department at University of Nevada, school of medicine (UNSOM) as associate professor in 2007 worked there till 2012. In 2013, Dr Saad decided to join Horizon View Medical center pediatric endocrinology in an effort to provide better endocrine care access to the Las Vegas community. For that, she developed a multidisciplinary Team that to provide the highest standard of care for her patients. Her team consists of a Nurse practitioner, a diabetic educator and a registered dietitian. She is currently an adjunct professor at UNSOM. She is still involved in teaching pediatric residents and medical students. She has privileges at multiple local hospitals. She is an expert in multiple endocrine conditions including diabetes mellitus type 1 and type 2, obesity and Insulin resistance, growth disorders, adrenal disorders and thyroid diseases. 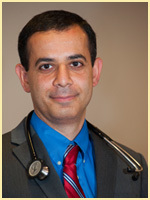 Dr Saad is board certified in pediatrics and pediatric endocrinology. She attends endocrine conferences and meeting on a national level regularly. She is a member of the Endocrine and Pediatric endocrine society. She participates yearly in diabetes camps and diabetes walks. She was listed in TOP DOCTORS IN SOUTHERN NEVADA, in Desert Companion, in August 2011. Dr Saad is fluent in Spanish, French as well as her native Arabic language. She is strong advocate of promoting healthy habits and life style early in the pediatric population. Dr Saad is married and has 3 children. She is involved in lot of educational and sport activities with her kids. Trisha Briones is a certified Pediatric Nurse Practitioner by the Pediatric Nursing Certification Board since 2009. Her goal is to provide high-quality, genuine patient and family care with a strong interest in also serving the underprivileged community. She has been a resident of Las Vegas since 1990. She received her Bachelor of Science in Nursing in 2004 from the School of Nursing at University of Nevada, Las Vegas. She was a registered pediatric nurse on the acute care floor at University Medical Center Children’s Hospital of Nevada from 2004 to 2012. She obtained her Masters of Science in Nursing in 2009 from the School of Nursing at University of Nevada, Las Vegas. 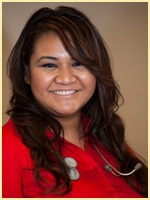 She practiced as a primary care pediatric nurse practitioner at Mountain View Pediatrics in Las Vegas from 2009 to 2011. In 2012, she specialized her focus on pediatric endocrinology working in collaboration with Dr. Rola Saad for University of Nevada, Reno, School of Medicine at Kids Healthcare. She is now happy to continue her collaboration with Dr. Rola Saad and focus with pediatric endocrinology at Horizon View Medical Center. She is a fellow of the National Association of Pediatric Nurse Practitioners and a member of Pediatric Endocrine Nursing Society. Trisha is happily married and hopes to start a family in the near future. She enjoys traveling and singing in her spare time. She is co-founder and co-leader of Heart and Soul Choir. She also enjoys volunteering and participating in events and camps that support children and adolescents with diabetes. DEANNA M. DESIMONE, R.D., L.D. Deanna DeSimone is a Registered Dietitian Nutritionist, credentialed by the Commission on Dietetic Registration and Licensed in the State of Nevada. Deanna graduated from D’Youville College with a Bachelors and Masters of Science in Nutrition and Dietetics in 2018 and from Canisius College with a Bachelors of Science in Health and Wellness. Deanna is originally from Athens, New York and travelled to Las Vegas after graduating from D’Youville College. Deanna is a member of the Academy of Nutrition and Dietetics. In her spare time she enjoys hiking and being outdoors and exploring Las Vegas.